friendly but also aesthetically pleasing. No pics (no idea how'd i'd get one anyway...), but this is just a simple color swap i did for the ICs intro a while ago. I've had this sitting on my SD card and decided to share it with the rest of the smash community. Enjoy! Mewtwo2000 edit: Modified the models to be easily resizable. Included 2 new bigger sizes for those who want a bigger stage. Original text: Now the final version of Metal Mario stage. The dead zone are fixed, some like SSB64. The font are changed too, it's a large background some like a real cave. This stage is on the project of libyertinie. more pics coming soon. its just a red lucario aura made for a friend. Newest red texture. Thanks to standardtoaster for talking me through color ideas. I'm really happy with how this looks (especially moreso than the last one), more refined. Reminds me a bit of the old orange texture from melee, but with a more fitting red color. Easy on the eyes as well as being able to differentiate between the two climber makes this a nice texture, as well as being team friendly. 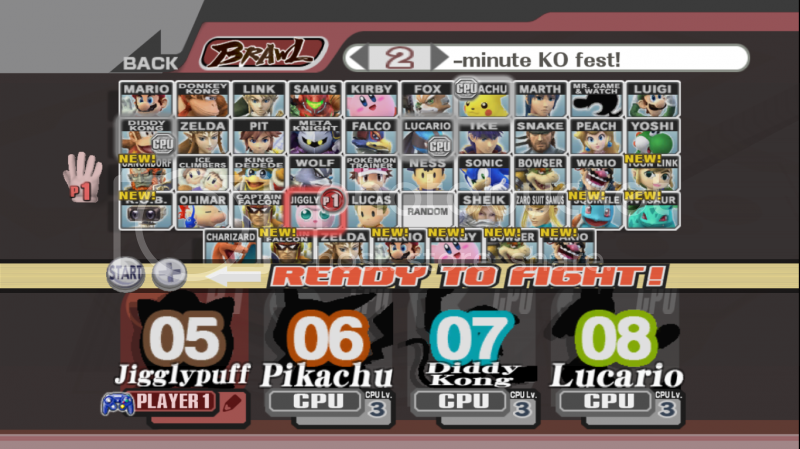 Would like to congratulate Gamewatching on his original version of this stage (i actually used it as a starting point). The original release by GW was... well it was not of the quality i was expecting (really don't want to make you feel bad, but it wasn't that great...). Because of that i took it upon myself to fix up his stage and give it the quality that a stage like this deserves. 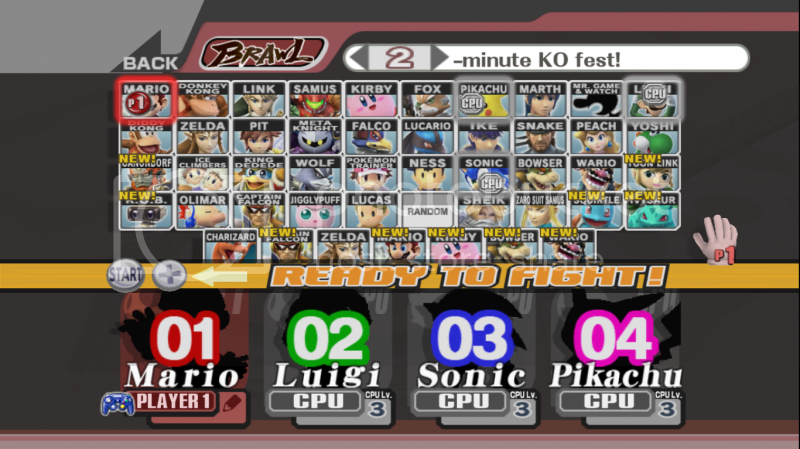 On top of new textures, i have remodeled the entire stage to reflect the original more accurately. New collisions, new layout, pretty much new everything. 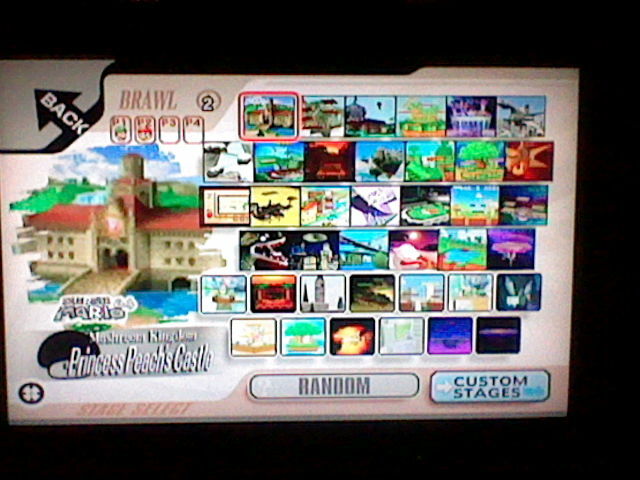 This stage plays as close to the 64 version as i can manage with brawl's physics. I'm not done with this stage yet, however, gameplay-wise it won't change in future updates so i decided to release it now. Note that this WILL de-sync over wifi with Gamewatching's version. Stage goes over FD/Onett, but the included files put it over PTAD (music is perfect). The stage seen in the intro to SSB64 brought to life on the wii. Thanks to mewtwo_2000 for helping me solve the texture problem and being great overall. The stage goes over FD, but come with a .rel/pre-named to be put over the Mario Bros. stage. Enjoy! my newest custom IC texture, designed to keep the colors for the ICs blue costume, but make differentiating between the two easier. I made this texture for my own personal use, but i'm so happy with how it turned out that i'm putting it up for DL. This makes the IC's parkas plaid (Popo in Green, Nana in Brown). Thanks to ds22 for doing the initial model importing, and thanks to 4leaf (my roommate) for drawing the background. the clock (not intentional, but ultimately necessary), spikes (on and off stage), ladders (just a floating platform now). Additionally, the block "stack" is now walkthrough once inside. all ground can be fallen through (outside walls still prevent movement in), the eye line (the long diagonal line with the eyes) now functions like a fall through platform, the top of the whale can be dropped through, and the ferris wheel no longer spins (not sure why since i didn't do anything to it...). 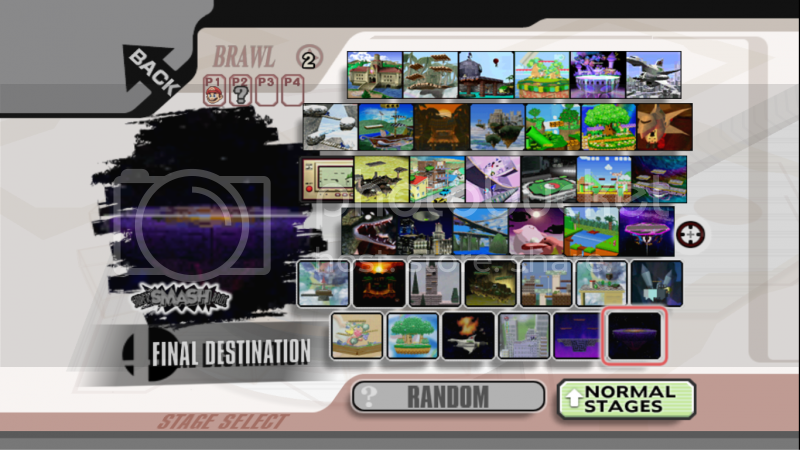 This stage uses the default Pictochat texture, but you can replace this through brawlbpx. Page created in 0.243 seconds with 97 queries.